There’s no place like home for the holidays. But for American service members, the holidays might find them thousands of miles from home. 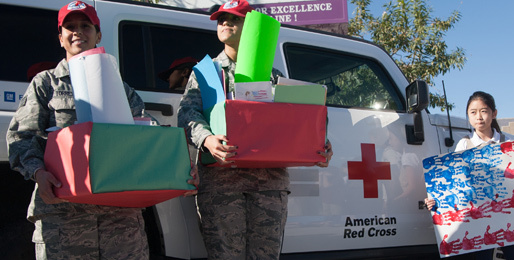 Enter the American Red Cross’ “Holiday Mail for Heroes” program, which delivers holiday greetings to veterans, military families and active-duty service members at hospitals and military installations around the world. Throughout November, each Royer’s store will collect holiday cards for “Holiday Mail for Heroes.” Cards may be dropped off during normal business hours.